For over 90 years, McCain Produce, a private family owned company and an industry leader in quality, has delivered top-quality potatoes across the globe satisfying cravings for one of the world’s most popular vegetables. Priding itself on the quality of its potatoes, McCain Produce constantly works to improve its production practices to ensure consistent quality with every potato, providing peace of mind that the McCain Potatoes you buy at the grocery store are only the best russet, white, red, or yellow potatoes. Those doing business with McCain Produce, experience and appreciate the attributes on which the company was built: integrity, honesty and reliability. This foundation plus its association with its parent company – McCain Foods Limited – provides McCain Produce with an unrivalled global reach. The end result: McCain Produce customers enjoy ”best practice” benefits unmatched by few others in the industry. 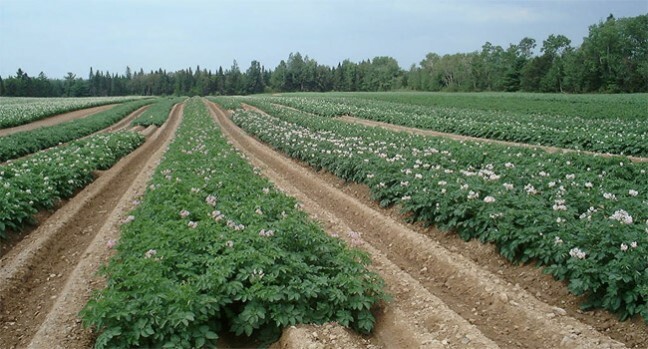 When it comes to potatoes, McCain Produce Inc. has the credentials, experience and reputation to fulfill all of our customers’ potato needs.